The Database is a set of physical operating system files. These files actually holds the user data and the metadata (or the data dictionary). Every running Oracle database is associated with (atleast) an Oracle instance. The Instance refers to the set of Oracle background processes or threads and a shared memory area (SGA). An instance can mount and open at most one database in its life. A database may be mounted and opened by one or more instances (using RAC) and the number of instances mounting a single database can fluctuate over time. – Oracle will read the parameter file (spfile or pfile) in the default location or in the location specified in the startup command. – It will then allocate the memory area (SGA) and starts the background processes. Together we call it as the instance. The instance is now started and the database is in nomount stage. Starting the instance in nomount stage is usually required for database creation or for creating or recovering the controlfiles. – In this phase the instance will mount the database. – Mounting the instance means associating the started instance with a specified database. – For this, the instance checks the controlfiles specified under CONTROL_FILES parameter and opens it. – It then reads the control files to find the names of the data files and the online redo log files that it will attempt to access when opening the database. – The database is still closed and only the DBA can access it. – This stage is normally used for maintenance operations like renaming datafiles, enabling and disabling archiving options. – Adding, dropping, or renaming redo log files is also done in mount stage. 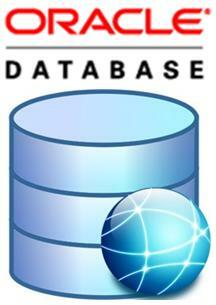 – For performing full database recovery database is opened in mount stage. – This is the final stage and here Oracle opens the online datafiles and redolog files. – If any of the required files are not present, media recovery is required . – It also ensures the datafiles are consistent. Incase of a normal shutdown, the in-memory changes will be written to disk as part of the shutdown checkpoint. – But if the instance crashed (or shutdown abort), then Oracle Database performs the instance recovery in the next startup. This entry was posted on Monday, October 1st, 2018 at 12:01 am	and is filed under Oracle Queries. You can follow any responses to this entry through the RSS 2.0 feed. You can leave a response, or trackback from your own site.